We believe that to get the sustainable business success can only be achieved with the best Health, Safety & Environment Practices. Our Health, Environment, Safety & Social Responsibilities, SMART was established in 1994 and since founded we give key priority to get customer satisfaction by giving excellence services with no Occupational illness and Accident involved. SMART laid down HESS Management System and great take care to be in line with it in our work because we believe that to get the sustainable business success can only be achieved with the good Health, Safety & Environment practices. 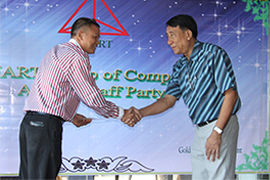 During the period of 1994 to 2013, within 19years of time SMART was deeply engage in Construction, Pipe laying, Welding and Commission, Shot Hole Drilling , Rig Moving , Catering , House Keeping and Logistics activities with no Major accident occurred. Now, we are aiming to set the benchmark for HSE in Oil & Gas Industry to continuously improve the HSE standard of our services by providing strong, visible leadership and commitment of our chairman & all senior managers. Being visible as HESS Leadership, showing all personnel that HESS is the most essential elements of SMART Group of Companies. Allocation of the necessary resources to HESS continuous improvement. Holding all employees accountable for HESS Management System implementation by setting each individual leading Key Performance Indicators (KPIs) to be aligned with HESS objectives. Full support and encouragement of HESS representatives and committees. audit / inspection and review findings. Concern with HSE matter, SMART engages all employees to have safe and sound working environment. We care the safety of our employees, supplier and clients in every day to day working process. We commit that we will provide zero accidents to our society. Let think safe and work safe in our daily working. 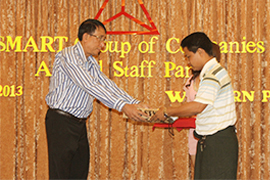 Nowadays, SMART Group of Companies has been recognized as market leader in Myanmar. 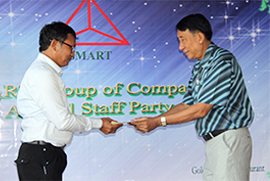 For well over decade, SMART has been supplying quality products and quality services to foreign customers and local customers in Myanmar. 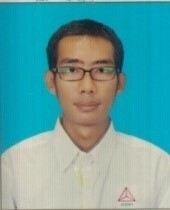 Our principle business line is SMART Technical Services and SMART Electrical Trading.